Introducing the Wanderers home and away Canadian Premier League kits. Here they are! The Wanderers first kits for the brand new Canadian Premier League. We’ve been waiting for this moment. And we think it was worth the wait. Our kits couldn’t be more Halifax. Ocean colours, waves with a club crest and pattern of the iconic star shape of the historic Halifax Citadel, which happens to be right next to our Wanderers Grounds. 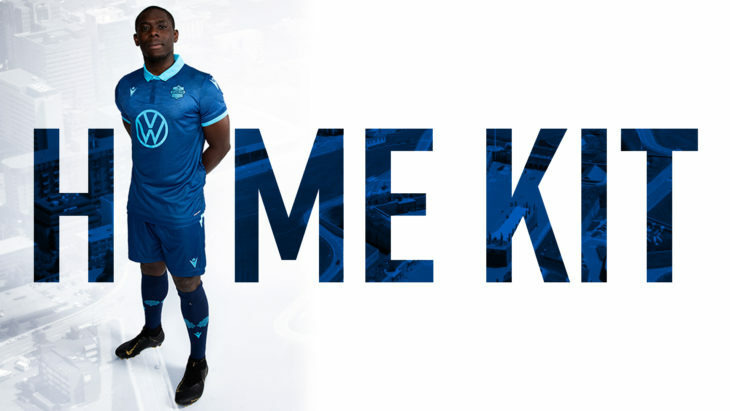 Kouamé Ouattara in our home kit. And just look at the colours. 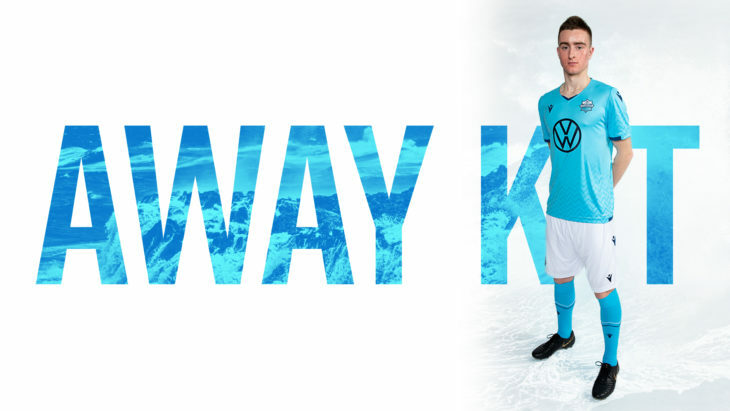 That sharp looking harbour blue for our home shirt and a slick aqua ocean for the away. Growing up in Halifax, getting to show off the away kit at the Toronto event was something else for 18-year-old midfielder Scott Firth. “Our jerseys fit the Halifax theme very well and they look great,” Firth said. Scott Firth in our away kit. 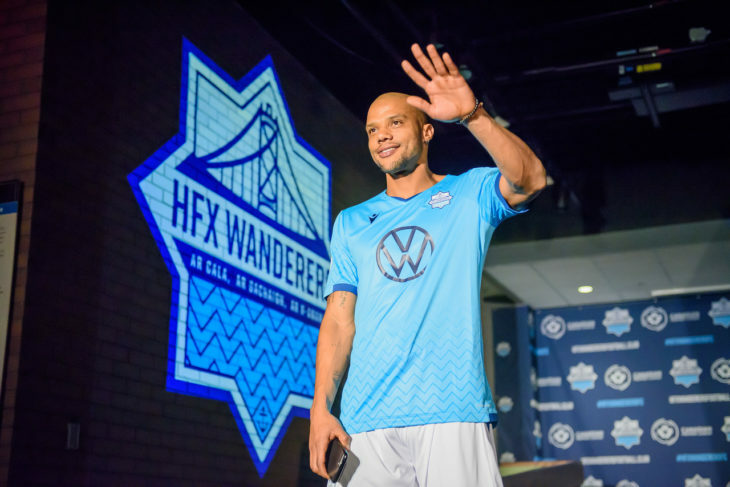 We also get to wear the classic VW symbol on our shirts with the automaker becoming our shirt sponsor, in addition to being one of the founding sponsors of the CPL. When people got their first glimpse of our players in the new kits at our event at Halifax’s Museum of Natural History last night, there were cheers like the Wanderers had scored a goal. Luis Alberto Perea in the Wanderers away kit at the Museum of Natural History Thursday. And our season is now less than a month away. The first look at our jerseys in a CPL match will be on April 28 when we suit up against Pacific FC in B.C., with us debuting our home colours the weekend after, on May 4 against Forge FC. And our members can pick up their shirts on April 20 when our new official store opens at the Halifax shopping centre. Yes, you will get your choice of a free authentic home or away shirt valued at $119.99 when you buy a season membership. See you at the Wanderers Grounds!